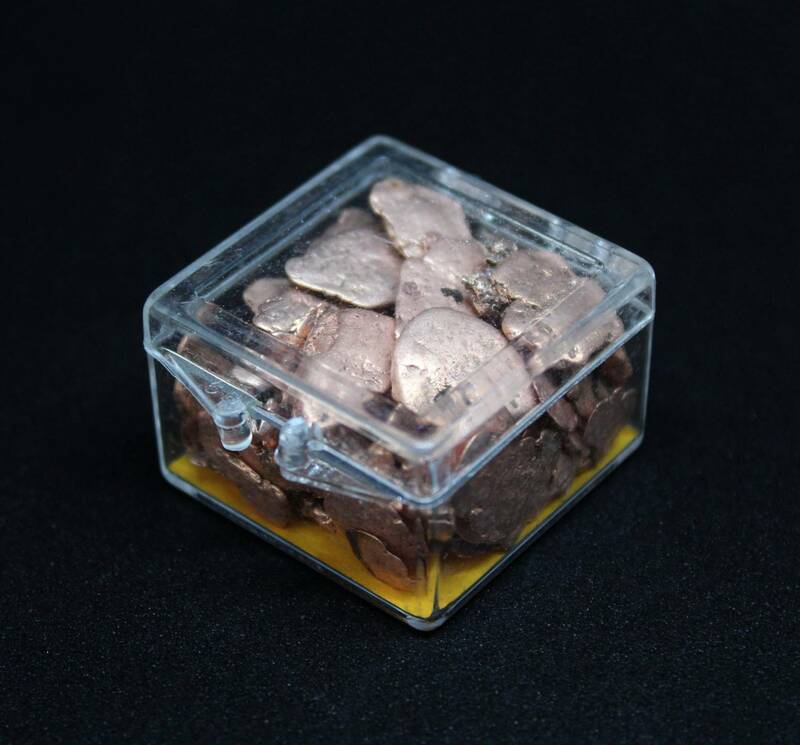 Smelted natural Copper nuggets and flakes in a small plastic box. 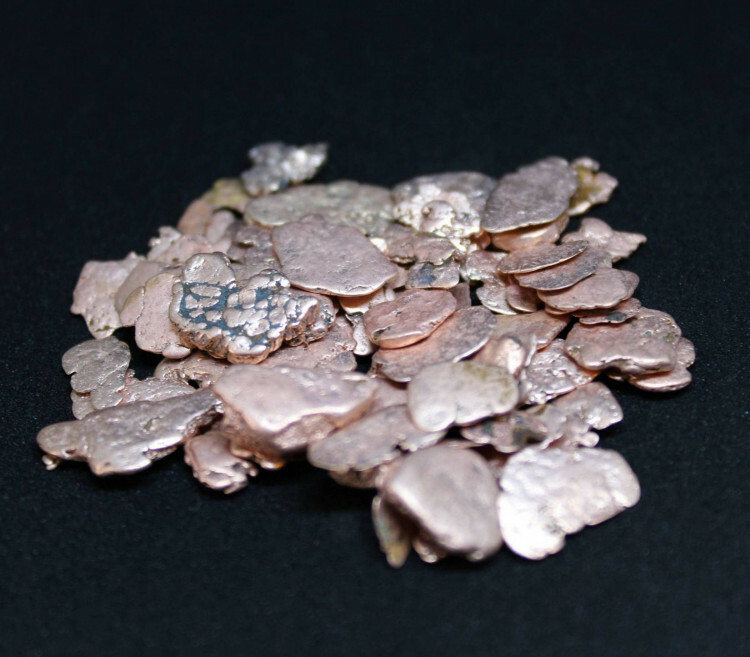 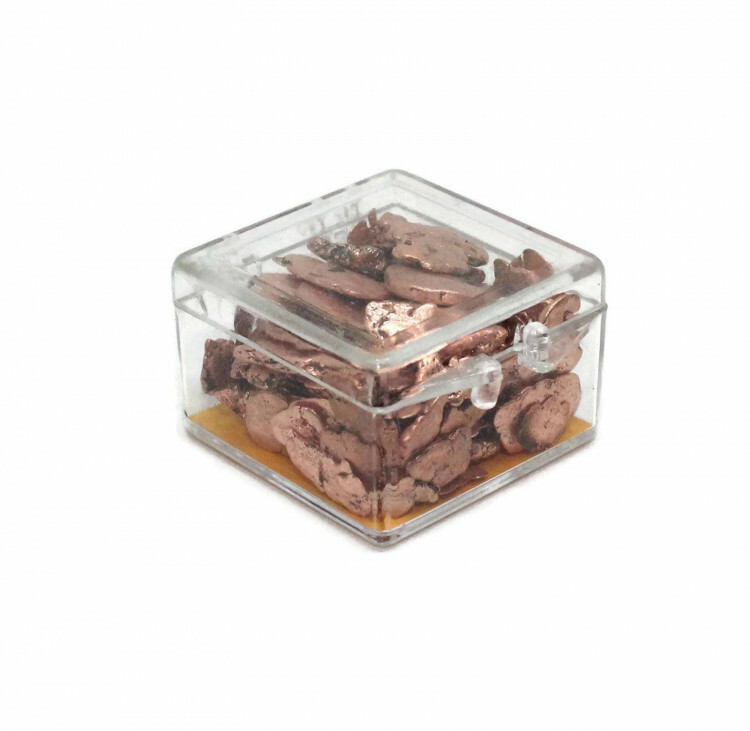 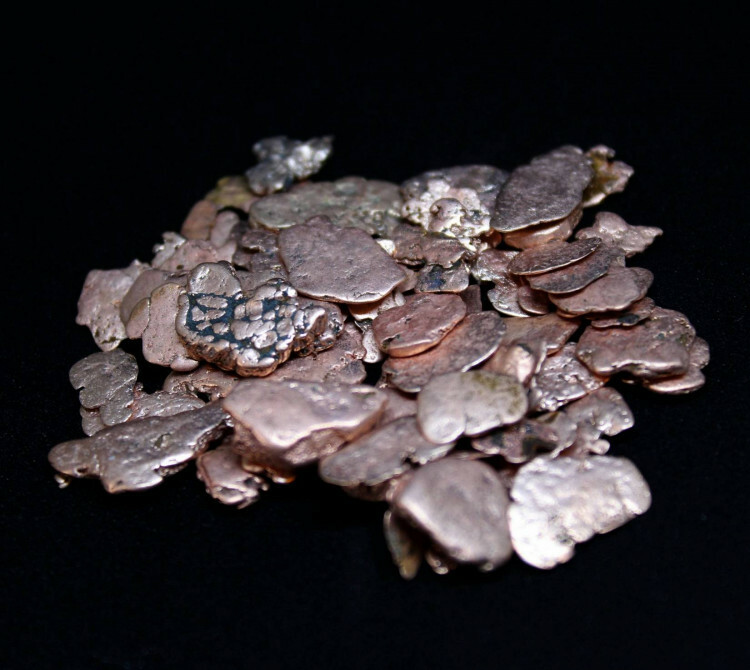 A small plastic display box full of Copper nuggets and flakes; these pieces are not from a specific place. They are generally fairly small pieces, measuring between 5 and 20MM approximately, although obviously there is a wide variance in natural pieces.